For many people gifting flowers only happens on birthdays and for big occasions such as weddings or funerals. This doesn’t have to be the case. 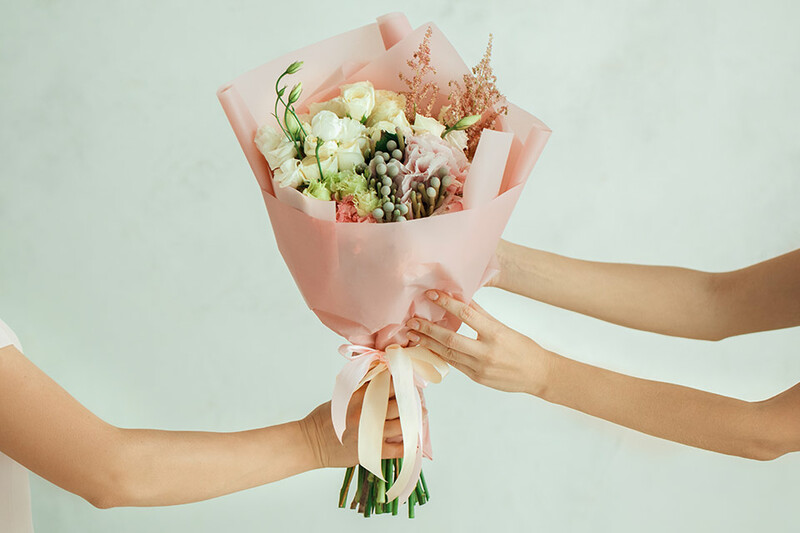 There are many different reasons that you can choose to gift a friend or loved one with a large or small bouquet or display of fresh flowers. The simple gesture of buying flowers can change someone’s day for the better, and it doesn’t need to be for any special reason. Read on to find out 4 reasons why you should send flowers to a friend or loved one. Floral arrangements are a perfect ice breaker if you want to re-connect with a friend or family member that you haven’t spoken to for a while. Life can get busy, meaning we don’t always get to interact with our loved ones as often as we would like. Sending a fresh bunch of flowers will let them know you are thinking of them. Speak to your florist about what colours and arrangement size the receiver would like to ensure your bouquet packs a punch! Fresh flowers can have a positive effect on your mood, making them a great choice for someone who is currently having a hard time or going through a rough patch. Flowers have several health benefits and it has been proven that they can boost your mood, calm anxiety and reduce stress.Your fresh flower specialist will be able to help you pick fresh blooms that will ensure a positive impact on the receiver. Bright blooms such as pinks and yellows evoke feelings of love, friendship and happiness. This doesn’t have to be for any particular reason. Sending flowers to show someone that you care and are thinking about them can be extremely rewarding. Fresh flowers are a very emotional gift as they can evoke all sorts of feelings.In this situation your choice of blooms are endless. Whether you are looking for bright colours or light, airy pastels you won’t be limited for choice. If you are looking for something a bit more out of the box, think oranges, greens, blues and pale yellows. Your floral expert will be able to help you arrange a stunning bouquet. When we say event, we aren’t talking about large scale events like weddings or anniversaries. This could be something as simple as celebrating your friend getting a job promotion, buying a new car or celebrating your friend achieving a weight loss milestone. While these things may seem small to us, they can be extremely special to your friend or family member.This kind of occasion is a great chance to let your florist create a fun floral arrangement that the receiver will love. You don’t need a reason to gift someone with fresh flowers. You may just be walking past your local florist and see a bouquet that catches your eye. Surprise gifts are often the best kind as the receiver is completely caught off guard. You may also want to treat yourself to a bright bouquet for your own home or workspace! The team at Flower Flow are always on hand to help you pick and arrange the perfect floral arrangement for your loved one. We can cater for large arrangements right through to small bouquets. Contact us today to see what fresh flowers we have available and to learn how we can help you.